The Southern New Brunswick Youth Forum will bring together youth from a number of areas to participate in workshops and discussions on four important issues: Mental Health, Guidance, School Reform, and Leadership. The forum is part of a PFY program called the Youth Engagement Initiative (YEI) that aims to amplify the voice of youth throughout New Brunswick. 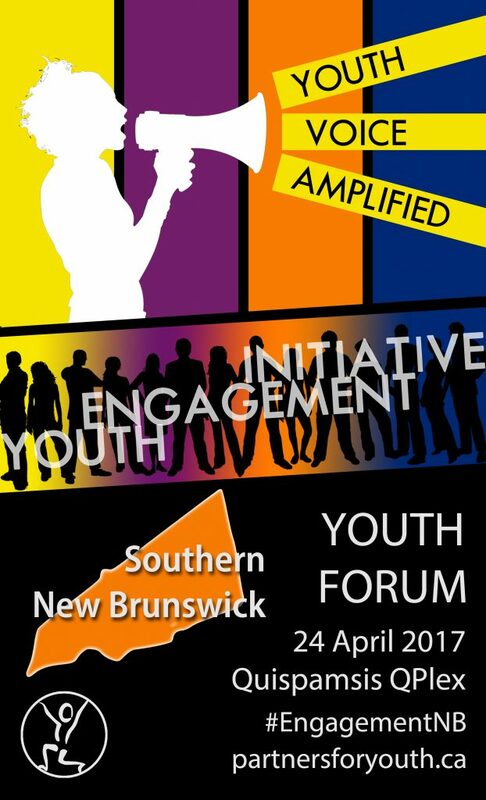 The Southern New Brunswick Youth Forum will take place on April 24th at the QPlex in Quispamsis. The event will begin at approximately 9:30am and is set to end around 3:30pm. In total, we are inviting up to eight students and two staff from nine high schools, as well as a number of adult professionals, stakeholders, and supporters from around the community. The Southern New Brunswick Youth Forum is the result of a planning process that began in October 2017. Following an initial recruitment phase, we brought together a youth leadership group made up of young folks from the Saint John area. This group was then engaged in an event planning process that included everything from identifying topics to scheduling and organization. For more information on the Youth Engagement Initiative, contact us! You may also visit our program page here.